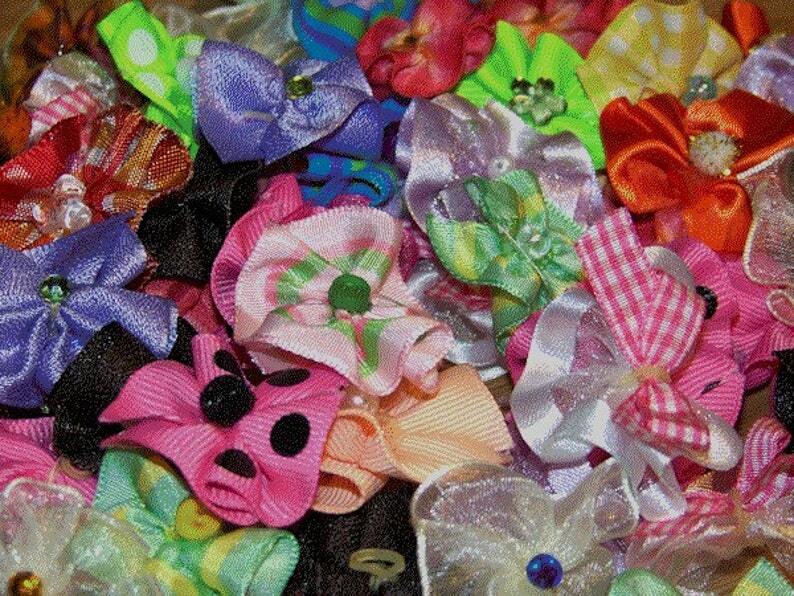 Dog grooming bow assortment. Perfect for the busy groomer anytime! An assortment of round bows perfect for top knots, collar bows, ear bows, or bow ties. Includes some "fairy bows" made from feather light, sheer organza. 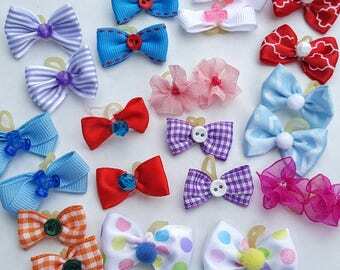 25 pairs - 50 bows. 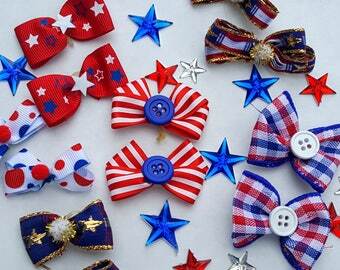 All these bows are handmade by me from the cutting of the ribbon to shipping. I do not broker bows.